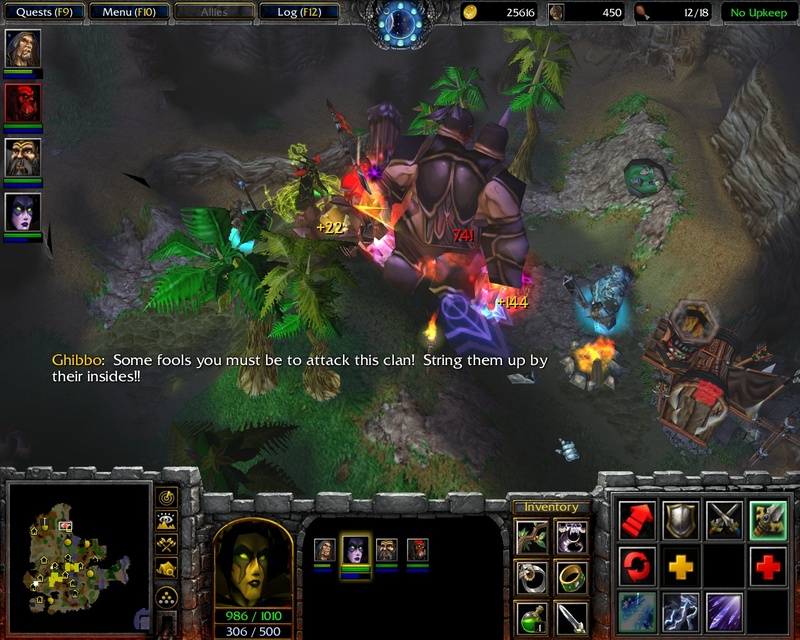 Of course, I am playing the definitive Frozen Throne version, which took the RoC version and pumped it full of steroids. Both versions are on offer at the Clan TDG website, so you can have your pick. So many enemies, so little mana. Actually, that’s a lie — most of these are ny summons because LOL METAGAMING. SoU is a map from a bygone era, and it’s a sharp contrast to the very deliberate Legend of Magnador. Monstrous triggered abilities throw terrain deformations, camera movements, fade filters and giant dummy units around with wild abandon. 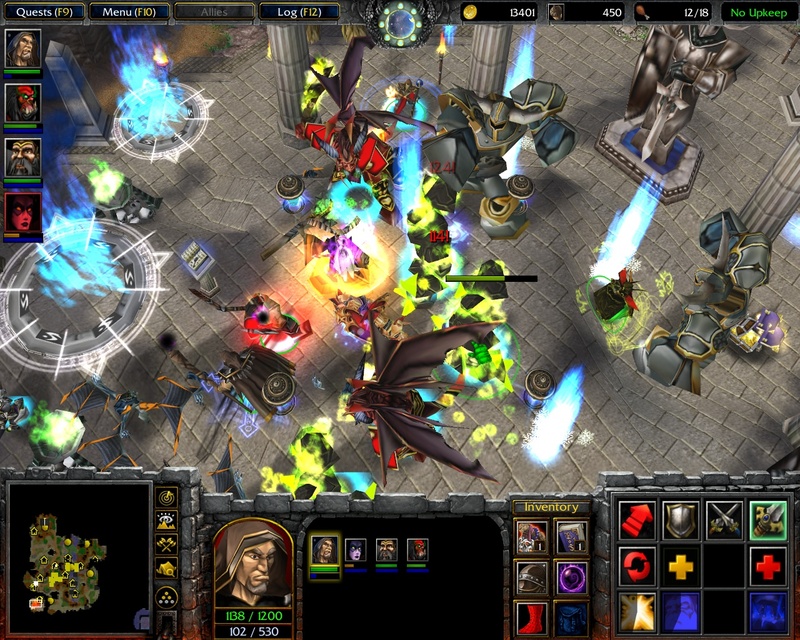 Spontaneous ambushes gleefully drop twenty-odd units on you. The terrain deftly combines height deformations with vanilla cliffs to create charismatic but camera-melting highs and lows while still cranmming a whole host of towns and wilderness areas. It is a scenario of extremes, much like the extremes of weather its plot presents. Of course there’s more to life than graphics and gameplay and the story holds up really well too. Ostensibly set in the Warcraft universe, it occasionally namechecks places from the rest of the world (and you can hire Rexxar and Chen as party members) but is otherwise happy to go off in its own (superior) direction. 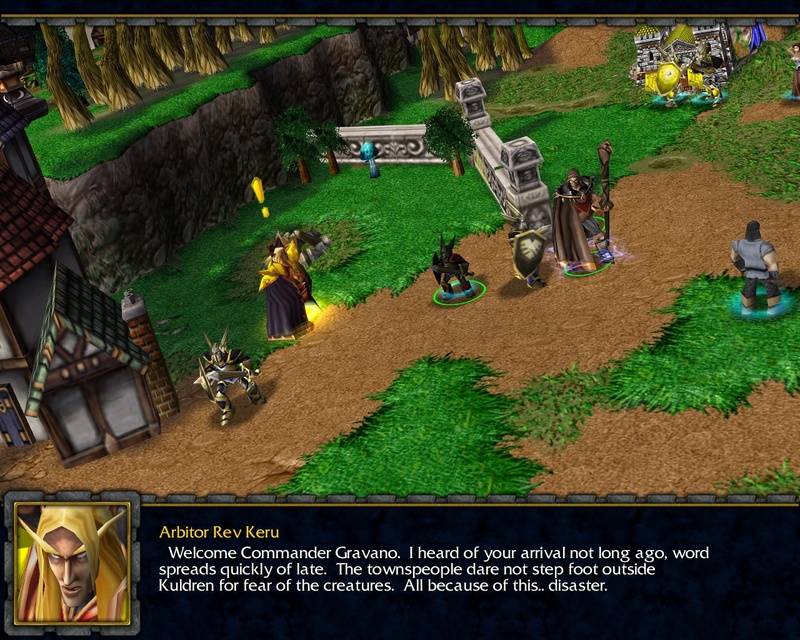 Commander Ihab Gravano (we’ve all named characters after ourselves, I think it’s a rite of passage into modding adulthood (along with co-opting an existing WC3 race or two)) and his Expedition (can you see where WtFSA came from now?) are sent to the mysterious island of Iskan because the weather’s gone mad all over the world and the artefact that controls the weather, the Well of Seasons, is here. Cue mystery, intrigue, villains and a great big heap of world to explore. Every time we try to have a party, a giant wolf storms in and ruins it. EVERY TIME. I really love the characters in Season of Uncertainty. In that, well, there are characters. From the dismissive Inquisitor Mikael to the slightly naive Arbitor Keru to the stoic Ihab Gravano himself, all the characters have their own ways of talking that really bring them to life (unlike This Wreckage, where every single character is just me). Even the villains are full of banter — bosses will defiantly taunt as you meet them, then make a wistful or forlorn comment on their inevitable demise. 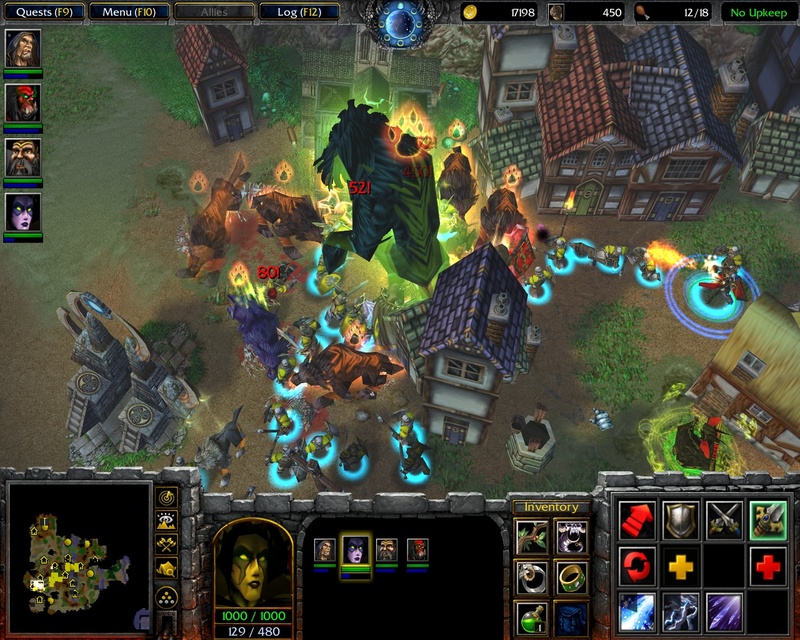 Gameplay-wise, it’s Warcraft III without the base building. Hire heroes, hire units, tear about the countryside solving problems and saving the universe. 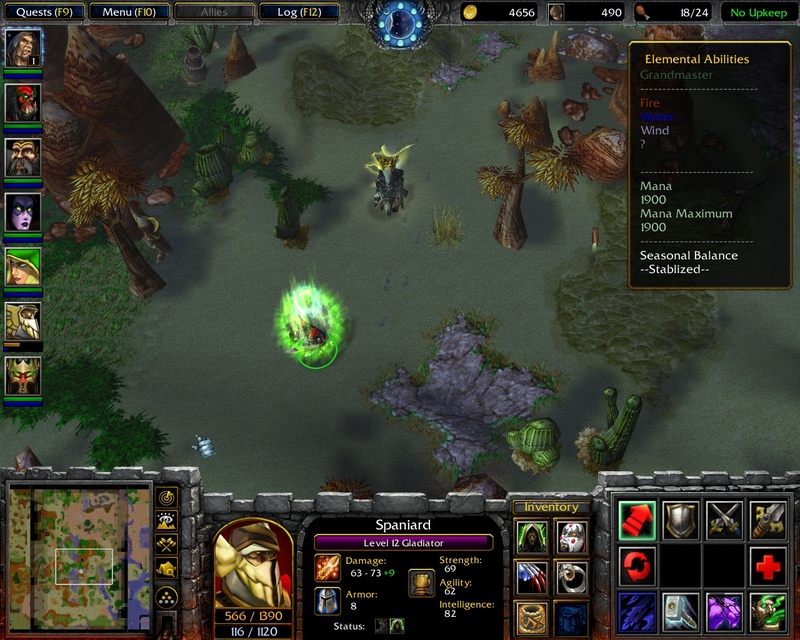 Heroes come in three flavours — main man Gravano who immediately revives at the cost of money and seasonal balance (which upon falling low enough loses the game), invulnerable story-critical heroes who fall unconscious on death (and must be clicked repeatedly to be revived), and disposable bought mercenary heroes who get their first few resurrections for free and then must be revived by traditional gold-fuelled means at churches or the base camp. Although the game can probably be completed with only the main cast, it’s immeasurably more fun to save up some pennies for a few friends and get all of their spells unloading on the battlefield too. Gosh, I only wanted access to that cave and the shop. It’s not MY fault you’re owned by Neutral Hostile. On top of all that, the “obligatory minigame” is a fantastic aside. For what is, on the face of it, a simple gladiatorial combat arena, it’s actually a bizarre fight for your life that is more running and hiding and choosing what creeps to battle than an all-out assault. Well, and there’s more than a little praying for the right items to spawn (if you get a Shield of Refraction with its permanent invisibility you’re basically home free). Then it turns itself on its head, swapping the creeps for other gladiators and finally a one-on-one battle with the host himself (as if the rest of the minigame wasn’t hard enough). Either way, the dynamic of combat shifts radically to prove that there can be much more to WC3 RPGs than “attack-move to victory”. This is where Henrik was born. Don’t believe me? It’s all in the numbers. Number one: that’s terror. There is one strange little design feature that I want to remark on before we finish — important quest items are on sale at shops. They are reasonably expensive, but I guess that’s a small price to pay for getting the main quest back on track after you dropped something critical in favour of the epic loot. Though it can be just a little bit spoilery to see a quest item you haven’t even got yet, and I’m fairly sure you can brutally shortcut big swathes of the map this way. The only disaster here is how criminally underrated this map is. I loved it. I still love it. I will surely continue to love it. You might not, however — it is showing its age, and it does have its inconsistencies and bugs. But if you have even the remotest bit of intestinal fortitude, you’ll gloss over these small breakages and rejoice in the unfolding of this epic tale of epic destiny in all its mad grandeur. For scope and scale, in all of game, world and story, Season of Uncertainty: The Dark Phoenix has it all. 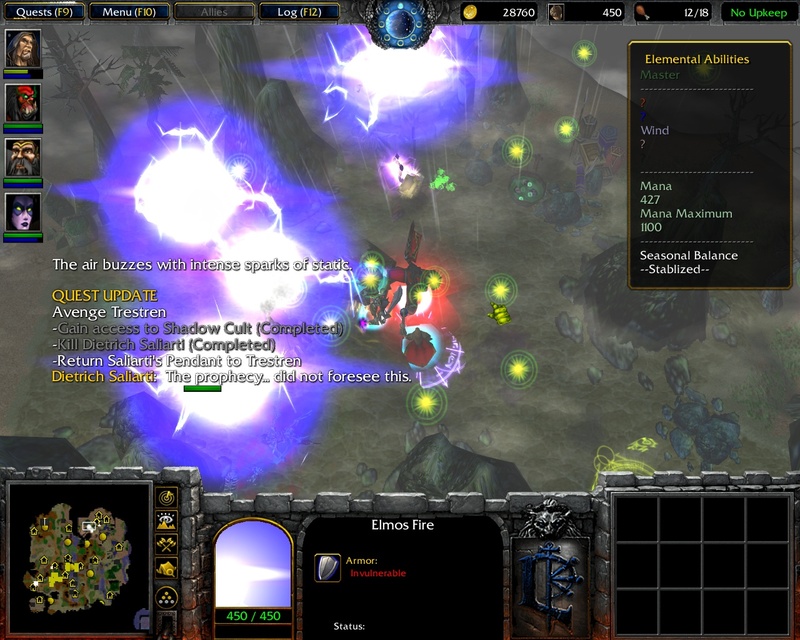 This entry was posted in Gaming, Warcraft III and tagged map, RPG, Season of Uncertainty, singleplayer, SPRPG Diaries, The Dark Phoenix, Warcraft III by Rao Dao Zao. Bookmark the permalink. Hey Rao, I tried downloading the map from the link and it wasn’t there. Tried searching on the web as well. Would you be kind enough to mail it? Aaaah the good old SoU. A work of art. Do you RDZ, by any chance have the names of all the custom music compositions used in this map? I only know the Fight Club and the Requiem for a Dream one. I haven’t played this in ages maybe I know a few more but I am interested in the most epic one. I remember it is also from an English/Irish movie, I’m gonna blow my brains out if I don’t find it today. No, I don’t know all the names — I’ve been in the map once or twice and I don’t remember then having meaningful filenames. (Which is a shame, because I love the synthy wandering-around-the-world ones, that I think are some kind of Final Fantasy). Also a great map and a favorite of mine, though I struggle to command that many units at once effectively. Well, it’s a matter of choosing your companions — apart from the main quest team, it’s good to focus everyone else on passives and auto-casts. And then tabtabtabtabtab. Hmm, now you’ve made me try it.